I’ve been playing around with an animation of a camera moving past the Mill in the Fairytale Places set from Daz. I’ve not got a finished animation to show off but I did do a simple picture of it that shows off the fog effect I’ve been working on quite well I think. 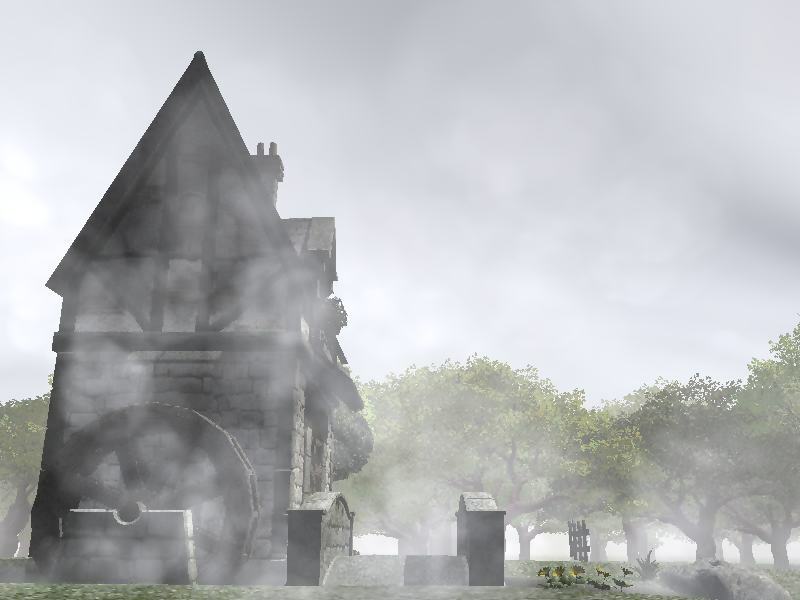 Once I’ve got the fog working I’m going to see if I can’t make some smoke come out of the chimney too.